Testimonial On My New Yamaha SA2200 Guitar! I am writing this testimonial so I can share my experience with other guitarist considering a new semi-hollow body guitar purchase. First thing, I wanted to express my sincere heart felt thanks for your time, effort and the great deal you gave me on my new Yamaha SA2200 semi-hollow body guitar purchase. Vince you were right about the Yamaha SA2200, it's truly a world class guitar in every way! A gorgeous beautiful semi-hollow body guitar that is second to none! The SA2200 has met and exceeded my every expectation of being the absolute finest semi-hollow body guitar on the market today! Believe me I know, I have looked everywhere! Over the past year I have had the pleasure of playing and comparing the best rated semi-hollow guitars available today, including the Gibson ES-335 and I must say that the Yamaha SA2200 beats them all hands down! I currently own many guitars and this is truly one of the finest guitars I have ever played and purchased! The SA2200 is not only a gorgeous guitar, but plays like a dream! The feel, look and sound are perfect! I am a guitar player who loves to play jazz, I am a jazz purist and wow, you couldn't play a nicer guitar to play jazz on, so smooth! But what I also like about the SA2200 is the versatility it provides to play just about any kind of music: i.e., blues, rock, pop, R&B, gospel and so much more! I've read all the articles, read all the reviews and heard all the hype on this guitar and they were right, the Yamaha SA2200 is truly the finest semi-hollow body guitar you can play and buy today at an affordable price! 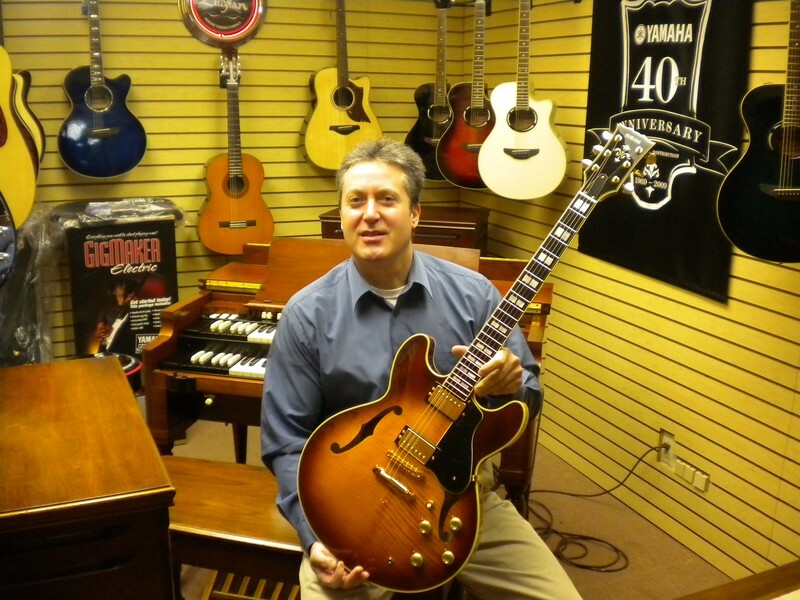 Hey, the Gibson ES-335 was $1500.00 more than my new SA2200! I also felt that the Gibson ES-335 just doesn't match to the SA2200! It just didn't have same high end quality or sound or play ability as the Yamaha SA2200. In terms of the overall quality of the SA2200, the craftsmanship is beautiful, the sound is awesome, the feel is smooth, the finish and looks are perfect and the pricing is unbeatable! It's a great semi-hollow body guitar and good investment! A WINNER ALL THE WAY! In closing, I purchased a World Class Guitar from a World Class Musician. I highly recommend Vince Seneri and his company Hammond Organ World for your next serious guitar purchase. He gave me a great deal and exceptional service. What you should also know about Vince Seneri, is that he is a serious musician who cares about all musicians. He truly is one of the best B3 players in the world today. And in case you didn't know, he has performed and recorded with some of the greatest guitar players in the music industry. i.e., Paul Bollenbach, Lou Volpe, George Benson and many others. 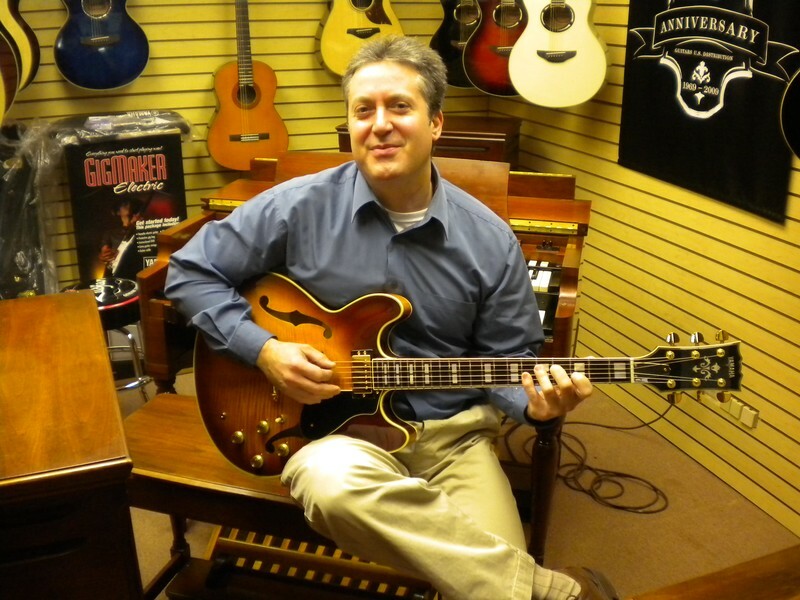 I am extremely happy with my new Yamaha SA2200 guitar that I bought from Vince Seneri at Hammond Organ World.